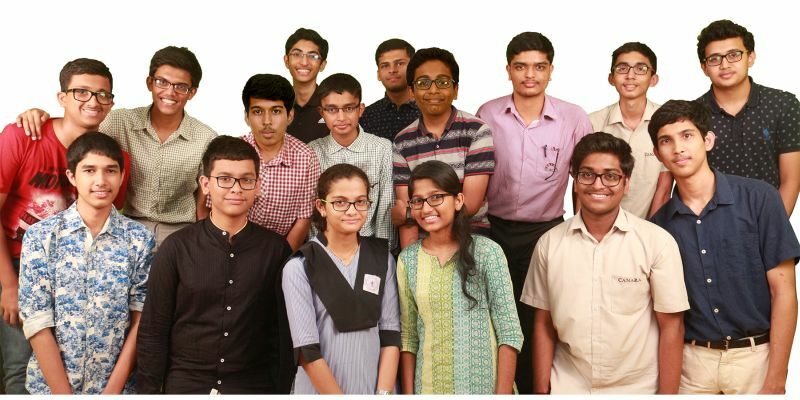 Mangaluru : Sixteen students of Centre for Advanced Learning (CFAL) Mangalore have been selected for “KVPY Kishore Vaigyani” fellowship 2017-2018. (Scholarships up to Rs.1,12,000/- per annum) Sixteen students studying at Centre for Advanced Learning (CFAL), Kuntikan, Mangalore have been selected for fellowships in the prestigious KISHORE VAIGYANIK PROTSAHAN YOJANA (KVPY), 2017-2018. In a proud moment for Mangaluru, the Karnataka state topper Prathyush is a CFAL student! This achievement by our students show that children in Mangalore have the caliber required for excelling in National level examinations- what they generally lack is strong conceptual understanding and proper guidance. CFAL Mangalore has been working to provide the right information and support and consequently, students have consistently been outperforming their peers in Bangalore and excelling in National-level examinations. The Kishore Vaigyanik Protsahan Yojana (KVPY), one of the most prestigious examinations conducted in India is initiated and funded by the Department of Science and Technology, Government of India. The objective of this exam is to identify students with talent and aptitude for research; help them realize their academic potential; encourage them to take up research careers in Basic Science, and ensure the growth of the best scientific minds for research and development in the country. These examinations require analytical skills and logical thinking- rote learning or memorization will not yield results. CFAL has a progressive record of nurturing Kishore Vaigyani Scholars year after year with highest percentage, selections and ranks and the students have consistently attained the top ranks in Mangalore. Prominent among them are Sumith (AIR – 7 in 2013-14), Kenrick Pinto (AIR – 16 in 2015-16). CFAL is happy and honored to have record- breaking results in the region and aims to promote a passion for Math and Science learning among students. CFAL has the best results in Mangalore in all STEM related examinations including JEE, NTSE, KYPY, OLYMPIADS etc. The outstanding results of our students proves that given the right learning environment, children from the region can match or even outperform their peers from the Tier 1 cities. While rote-learning and learning for the sake of marks characterizes many institutions in the region, passion and excellence in the subject is what CFAL aims to attain. The outcome is deep understanding of the subject and excellent performance in exams. The vision of CFAL is to inculcate interest in basic sciences and to encourage research and innovation in the field of Math and Science. II PUC Students in the region are intelligent and hardworking- right guidance at the right time, strong conceptual foundation and a proactive teacher and peer group can help children compete in national level exams. These selected students have the opportunity to get direct admission into some of the most prestigious institutions in the country such as the Indian Institute of Science (IISc, Bangalore), Indian Institute of Science Education and Research (IISER’s) and other institutions in basic sciences, besides receiving a scholarship of Rs. 80,000/- to Rs.1,12,000/- per annum. More information about KVPY: SELECTION PROCEDURE: Aptitude Test: After scrutiny of application forms and meeting the eligibility criteria for various streams, all eligible students will be called for aptitude test conducted both in Hindi and English at different centers across the country, in the month of October/ November each year. Based on their performance in this written examination, students with the highest scores are called for interview. Selected students are declared as “KISHORE VAIGYANI “and they are eligible for this National Level Fellowship. Besides receiving a scholarship of Rs. 80,000/- to Rs.1,12,000/- per annum as fellowship, these students are also entitled to several other benefits- They get direct admission to institutions that specialize in Basic Sciences, they can attend study camps organized by various scientific institutions and can attend lectures and workshops of renowned scientists. Besides this, an I.D. card is provided to them which gives them access to various prestigious Laboratories, Libraries, scientific and research institutions throughout the country.